India’s apex court, the Supreme Court, has been playing an important role as a steward of environmental protection. In a recent order, it required the central government to set up a national environment regulator with offices in every state by March 31, 2014, entrusted with appraising and approving projects for environmental clearances. In fact, Indian democracy is known not only for its judicial independence, but, importantly, for offering numerous instances of judicial activism that has been facilitated by the “innovative” tool of Public Interest Litigation (PIL) – a judicial pill for relief against executive wrongs. PIL originated in 1979 when the judicial ruling in the Hussainara Khatoon v. State of Bihar case led to the release of more than 40,000 under trial prisoners in the Indian state of Bihar. In a subsequent judgment (S.P. Gupta v. Union of India, 1981), Justice P.N. Bhagwati and Justice V.R. Krishna Iyer articulated the concept of PIL, stating that any member of public can file a petition in the High Court against a violation of the legal or constitutional right(s) of any person or class of persons who are helpless in approaching the court for relief, and can directly approach the Supreme Court in case the latter’s fundamental right has been breached. In the People’s Union for Democratic Rights v. Union of India case, 1982, Justice Bhagwati clarified the purpose of PIL, stating that it is “a strategic arm of the legal aid movement which is intended to bring justice within the reach of the poor masses, who constitute the low visibility area of humanity..[PIL] is a totally different kind of litigation from the ordinary traditional litigation.” Over the years, PIL has increased Indian judicial engagement with environmental issues tremendously, although some judiciary experts consider this phenomenon a dilution of the original purpose of PIL. Nevertheless, judicial activism has been instrumental in addressing the environmental cause. It was because of the Supreme Court that the right to life and liberty, a fundamental right under Article 21, came to include the right to a healthy environment. As a result, an individual can approach it directly when the public interest is at stake due to environmental harm. Acting on a PIL to curb industrial pollution of water bodies, for instance, the Court issued notices to the Union government, Central Pollution Control Board, and 19 states to implement pollution control norms and the “polluter pays” principle. On past occasions as well, the Court has issued notices and directives to the central and state governments on multiple environmental issues, such as freezing production licenses granted to manufacturers of endosulfan pesticide, relocating hazardous industries from the National Capital Region, issuing guidelines for the prevention of noise pollution, and requiring civic bodies to file affidavits detailing measures to manage plastic waste. A well-known, controversial and rather stern order came in 1998 (M.C. Mehta v. Union of India), when the Supreme Court mandated the conversion of all diesel-powered buses in Delhi to Compressed Natural Gas (CNG)-driven ones, to check air pollution. It also imposed hefty fines on diesel bus operators who failed to comply with the ruling. As a result, as of June 2012, some 13,000 buses were running on CNG in Delhi. Similarly, hearing a petition in 2012, the Court admonished both the central government and the state governments of Delhi, Haryana and Uttar Pradesh for persistent pollution of the Yamuna river. 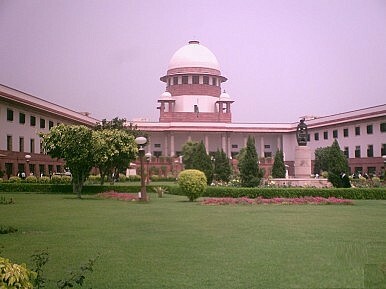 The bench stated: “It is important for this court to take this matter to its logical conclusion and not permit state authorities and its officers to leave it mid-way particularly when thousands of crores [nearly $2 billion on sewage plants to treat effluents] have been spent by the union of India and other public bodies.” Importantly, the empathy of the Court for the common man is reflected in the following statement: “It’s common man’s money that has been spent and nothing has happened.” As such, among other directives, it asked the Indian Institute of Technology (IIT) to employ its expertise in cleaning up the river. Taking on the “mining mafia” has been another concern of the Supreme Court. Quite recently, it asked the central government to submit by January 27 the Justice Shah Commission report on illegal mining in the states of Odisha and Jharkhand. The report is expected to reveal the illegal financial transactions and expose the culprits. Last year, the Court permitted 118 legal mines in the state of Karnataka to reopen, lifting a two-year ban. However, it cancelled the leases of mining projects planned outside the sanctioned area of the Bellary district. It merits a caveat that the Supreme Court’s intervention is not a panacea for all environmental ills. Further, its activism has been construed by legal experts as an encroachment on the executive domain of policymaking. Also, dealing with environmental challenges requires administrative and police accountability, “grassroots level governance,” public enlightenment and civic sense, and corporate responsibility. Nevertheless, the role of the judiciary is pivotal to environmental protection. In China, for instance, environmental protesters complain of an absence of the rule of law and demand a judicial role in handling environmental cases. According to China Dialogue, for example, during the 11th Five-Year Plan period (2006-2010), the Chinese Ministry of Environmental Protection received more than 300,000 environmental complaints, but “less than 1% of environmental disputes are resolved through legal channels.” In India, by contrast, the public and judiciary lie on the one side of the spectrum and the politico-bureaucratic authorities are on the other when judicial redress is sought against authorities’ acts of omission and commission. In fact, the mechanism of PIL has helped elevate the common man in India to the unofficial status of a powerful individual who can fall back on the apex court and the state high courts to flog bureaucracy into action that is in the public interest. Romi Jain is Vice President of the Indian Journal of Asian Affairs. India's top court threatens to “shut down” India's most iconic monument unless action is taken to restore it.